By Thoriq Firdaus in WordPress. Updated on February 7, 2019 . Having a profile picture also known as “avatar image” is pretty essential online. We upload our best profile picture on websites and social sites for legitimacy, credibility and for people to better recognize our online presence. 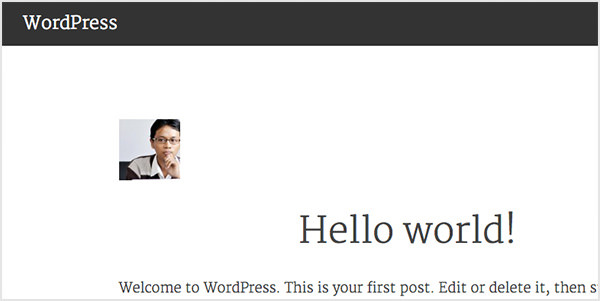 WordPress has its own service to deliver user profile pictures, and it is called Gravatar. We can also incorporate this into our own customized themes. This post will walk you through a couple of approaches on how you can retrieve the profile image from Gravatar. Let’s start from the basics. 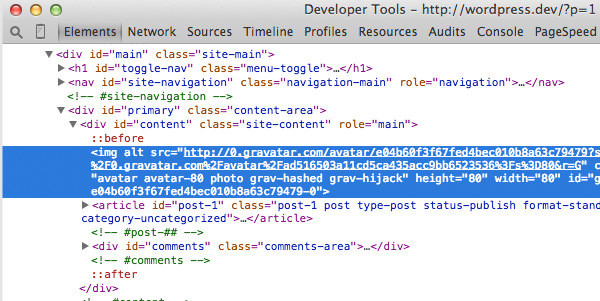 WordPress has a special integrated function, get_avatar, which allows us to retrieve the gravatar image. This function requires two parameters: the user ID or email, and the size of the image to display. Here is an example. Both examples will output the same result: a user avatar image with the size of 80px. In my case, I will see my picture. This makes things a little bit tricky for us, for example, to insert additional classes or an ID into the <img>. Alternatively, we can retrieve only the image URL, instead of the <img> element in full. Once we got the URL, we can add it to the <img> with the custom classes or ID added. Retrieving the Gravatar image requires the user email; make sure that the email has been registered in Gravatar in order to see the output. Call the author user email, like so. Next we need to include a couple of required parameters into the URL which are the image size and the default fallback image if the image is not registered in Gravatar. To do so, we will use a WordPress function called add_query_arg. This add_query_arg function will add parameters at the end of the URL. In our case, it will output ?s=80&d=mm which sets the image size to 80pixels and sets the default avatar to mm (Mystery Man).